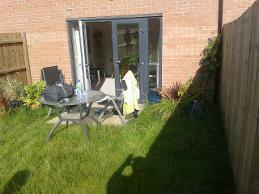 Local highly recommended Birmingham landscape gardener. 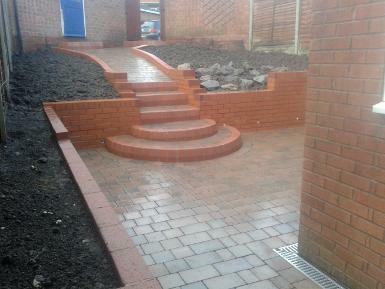 Evans Landscapes offers a complete garden landscaping service including drives and patios, fencing and decking, walls and brickwork, blockpaving, slabbing, crazypaving and garden clearances and more. 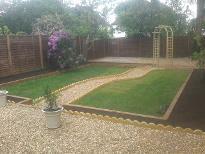 For a quality Landscape gardening service that will transform your garden and free quotes contact us. 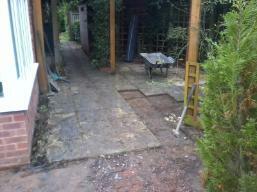 Before and after in Harborne. 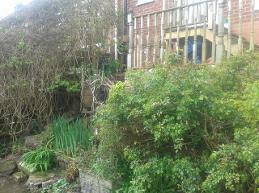 Before and after in Moseley. 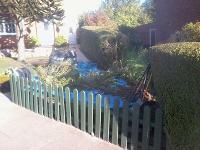 Before & after in Bearwood. 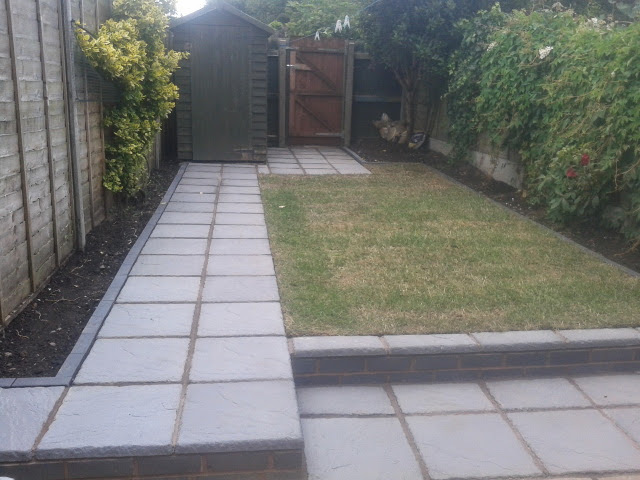 Complete makeover in Moseley and third job for Neil (second house), sunken lawn with gold gravel path and scalloped edging surrounded with sleepers and top and tailed with gravel patios, slabbing and rose arch, finishes with soiled borders and scolloped edging. Before and after in Moseley. 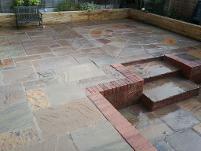 Indian raj natural stone with half penny bullnose planters and step. 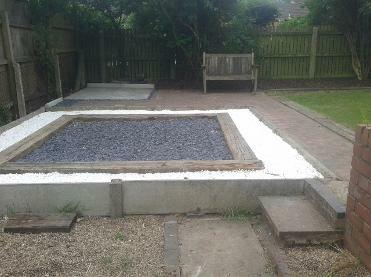 Natural stone circle and slabbing in selly Oak. 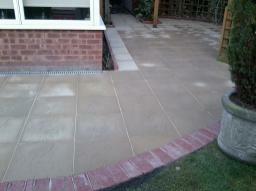 Natural york flagstones with cobbled edging in Edgbaston. 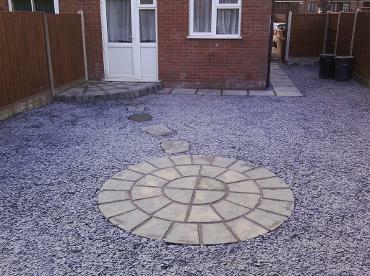 Indian Raj natural paving circle and random patio kits with walls and sunken garden area and surrounded with large decked planters in Selly Oak. 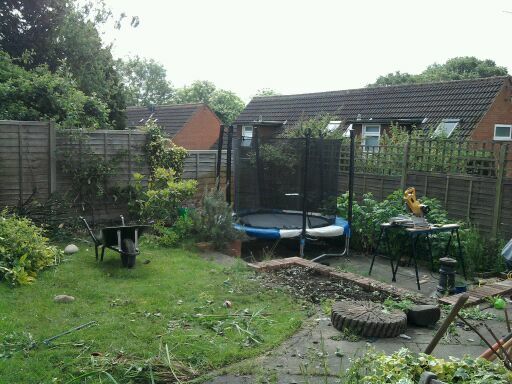 Before and after in Rubery . 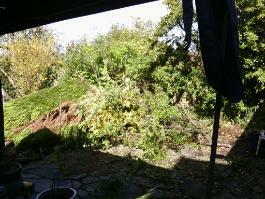 Before and after again in Rubery. 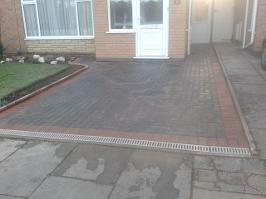 Driveway in Bournville before being transfored into a quality gravel drive with bullnose edging. 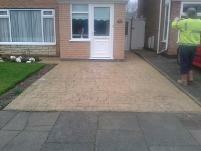 Gold gravel driveway with bullnose edging and tumble block frontage in Bournville. 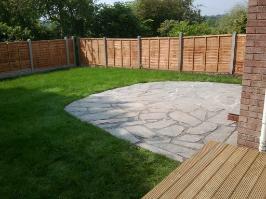 See what our customers think about Evans Landscapes on our testimonials page. 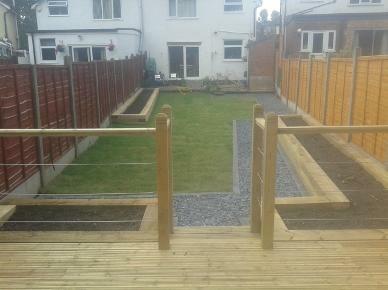 We think these speak for themselves like this recent email from Mary in Stirchley from December, we are scheduled to make over her back garden too in 2014. 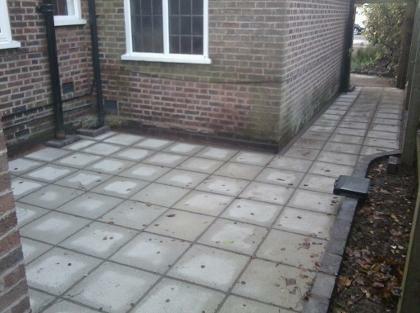 I would like to say a big thank you for the work Yourself and Rob carried out for me on giving me a new Driveway and taking away the eyesore of the wall which you replaced with a complete new look. My new drive looks great, also my path and new wall, im so happy with it and i am looking forward to having my back garden done next year. 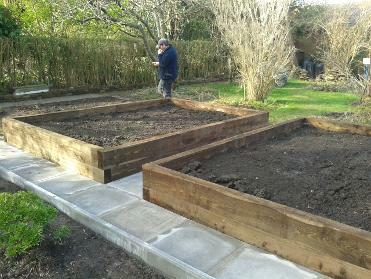 Evans Landscapes, your local landscaping business,get a quality, reliable garden landscaper at excellent prices, contact us for a free quote. 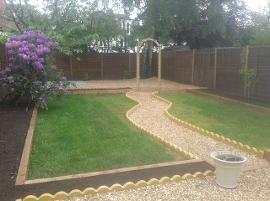 I'm delighted I chose Evans Landscapes for my garden makeover and couldn't have wished for a better service. From the very outset, dealing with Richard was a complete pleasure. He provided me with a very competitive, detailed quote and fulfilled every aspect of it. 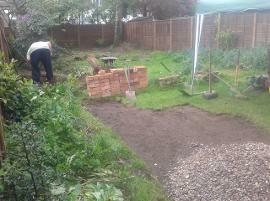 All work was carried out to a high, exacting standard and I now have the fence, patio and path that I had hoped for. I am thrilled with the results, which are brilliant in every way. 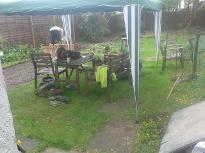 Rich and Rob were hard working, diligent and went that extra mile in order to transform my garden. 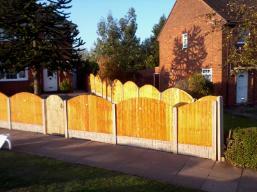 Everyone who's seen it has commented on the quality of the workmanship and exceptional finish. Rich proved himself to be utterly reliable and trustworthy and I cannot recommend him highly enough. Definitely my "go-to guy" for any landscaping. Richard Evans and his mate Rob come highly recommended. At the start, we only had a rough plan for the work we wanted. Rich was very patient and helpful whilst we made our decisions, and the final result is brilliant. 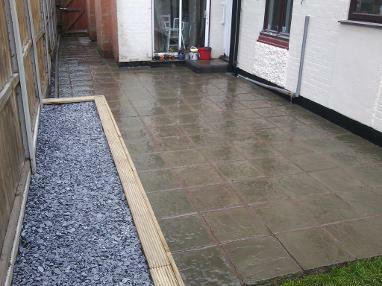 The old slabs relaid, matched with new ones, to extend the existing blocked patio, with the old blocks reused & recycled bringing everything together. A genuine pleasure from start to finish. 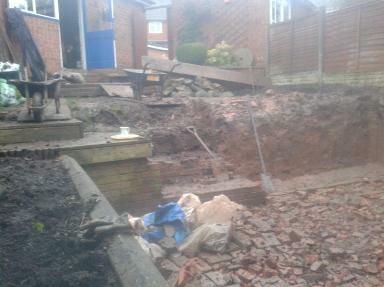 Before & after in Kings Norton. See the full garden landscaping and others in our Picture Gallery. 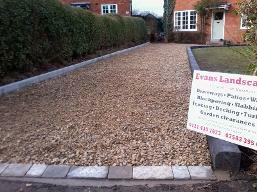 Evans Landscapes offers a quality, reliable landscaping service at excellent prices to the south Birmingham, Redditch and Bromsgrove areas. 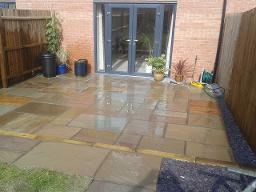 Get your free no obligation quotation and enjoy a friendly honest experience from a hard working local landscaping business you can trust, testimonials speak a thousand words, check out what our customers think on our testimonials page. 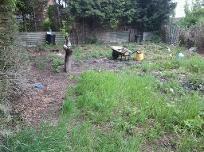 Before & After in Selly Oak. 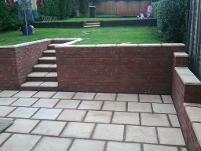 Split level patios in random paving kits with pathway, sleepers and new lawns in Kings Norton. 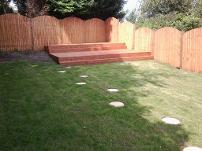 Decking and planters with cabled ballistrading in Northfield. 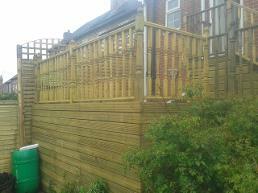 Before and after, split level decking and domed featheredge fencing in Bearwood. Indian Raj Green natural stone circle in Selly Oak. Victorian slate paving and blue bricks in Moseley. 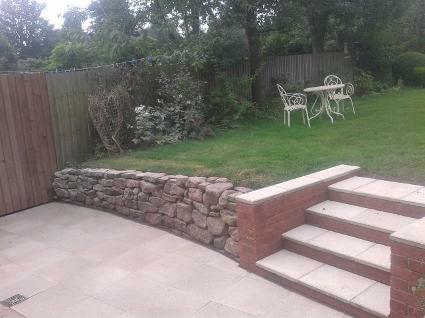 Natural stone and new wall combo in Moseley. 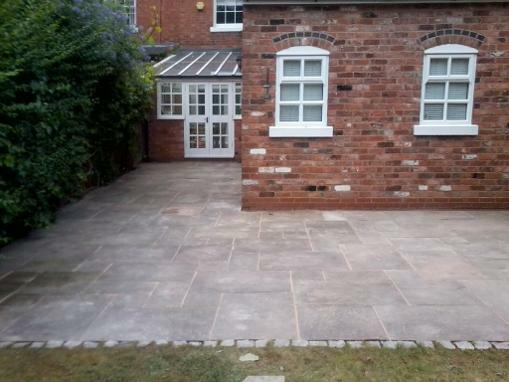 Blue brick wall and saxon paving area in Moseley. 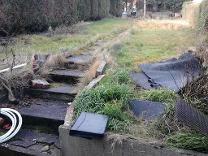 Planters and pathways in Kings Norton. 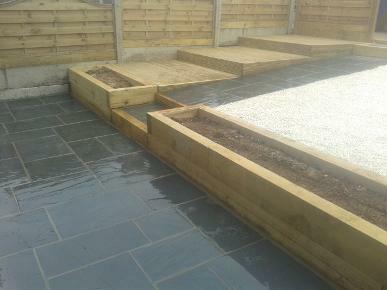 Courtyard slabs and wooden planter with blue slate in Kings Heath. 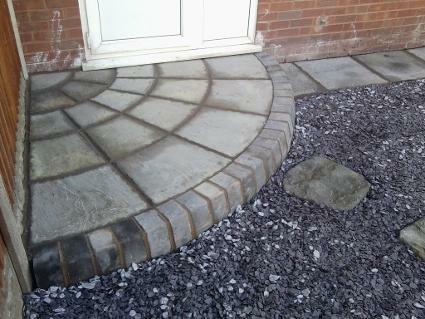 Natural stone patio circle and quadrant step with bullnose edging and blue slate. 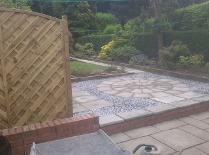 Sleepers, block paving and decorative stoning in Kings Norton.